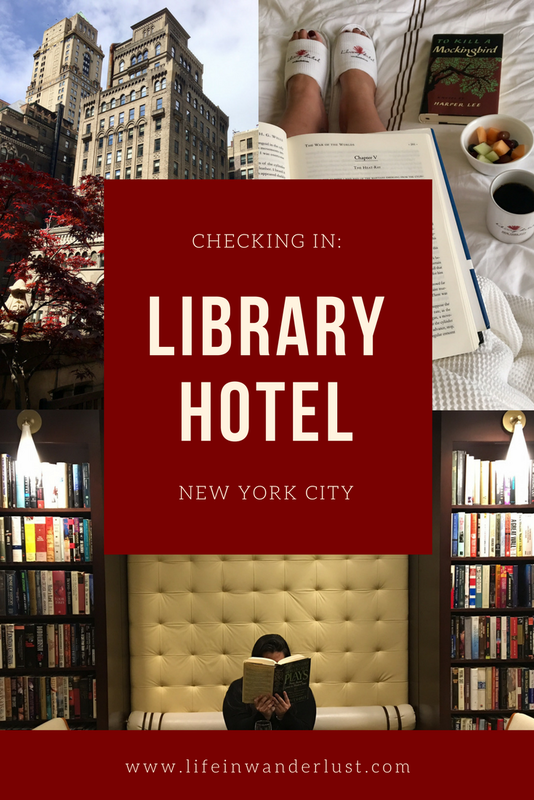 During my visit to New York City, I had the pleasure of staying at the whimsical Library Hotel in Manhattan. 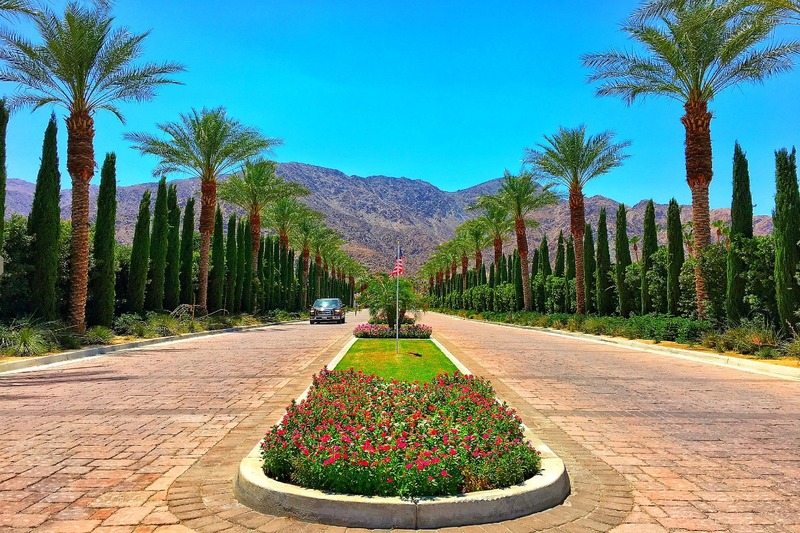 I had heard so much about this hotel from friends and other bloggers that I just had to see it and spend a night myself. I love reading books, owning books, smelling them and visiting libraries, so a hotel based on all of that? Couldn't possibly ask for much more! Location: One of the first things I noticed about the Library Hotel was the location. Sitting pretty right on Madison Avenue, the hotel is only one block away from Grand Central Station. Since the majority of my transportation method in New York City was the subway, being that close to a station that connects to several lines was a dream! 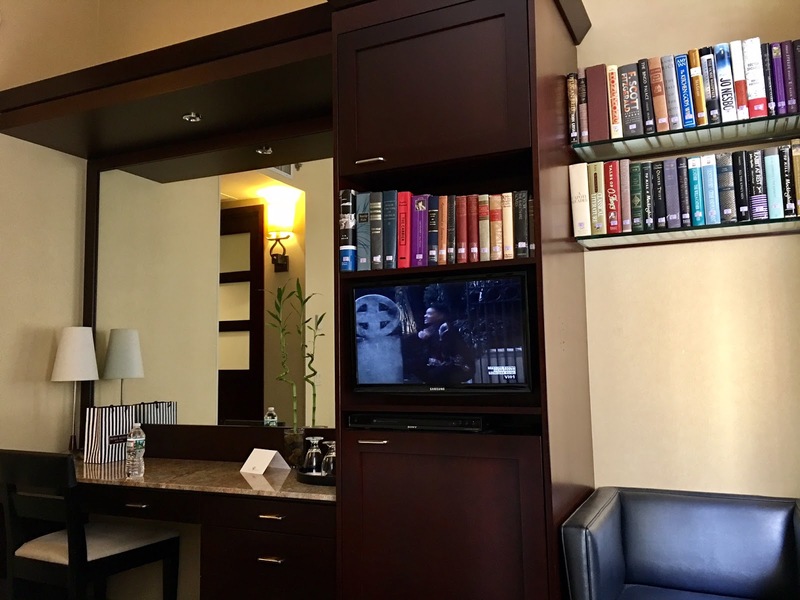 Not only that, the hotel is only a few blocks away from the New York Public Library, Bryant Park and 5th Avenue for all your shopping needs. Also, is it just me that loves knowing there's a CVS across the street? Convenient! Room: Each room is numbered like a library book and named by a literature genre. 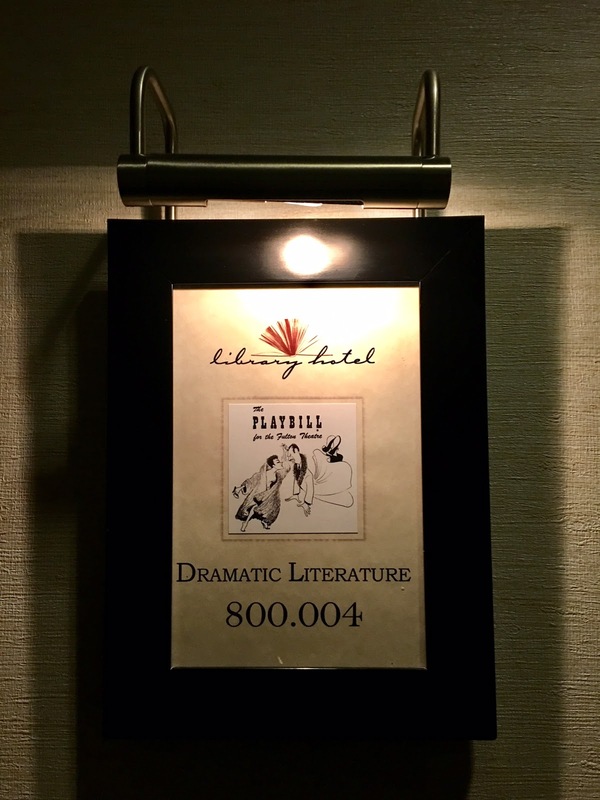 Our room was 800.004 in Dramatic Literature, which made me so giddy! I was hoping for Murder Mystery but hey, I'm good with Dramatic Literature too. While the room was compact (as are most in New York City! ), each space was designed perfectly and felt more spacious than it probably was. The room had modern features while still maintaining the library theme. 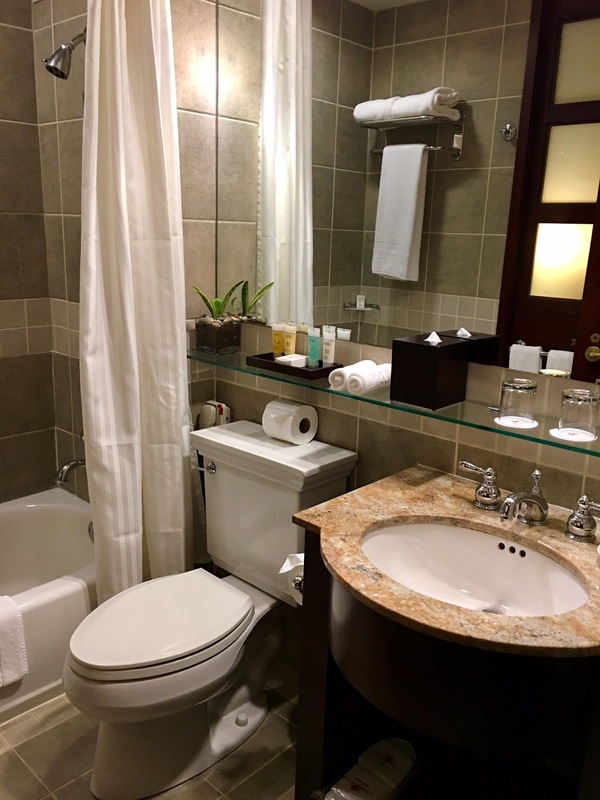 The bathroom was surprisingly large and just as chic as the rest of the room. We had several dramatic literature books to read from; I wish I had enough to read all of them! 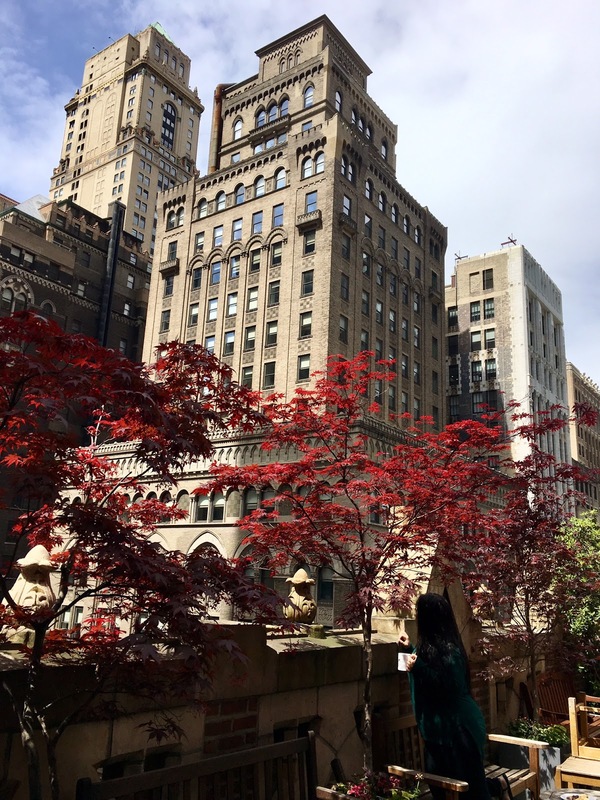 I love that our view from the window was of Madison Avenue, even though we could see into people's offices and meetings that were happening! I enjoyed sitting in the comfortable bed wondering what they were working on and watching the city go by, 8 floors below me. 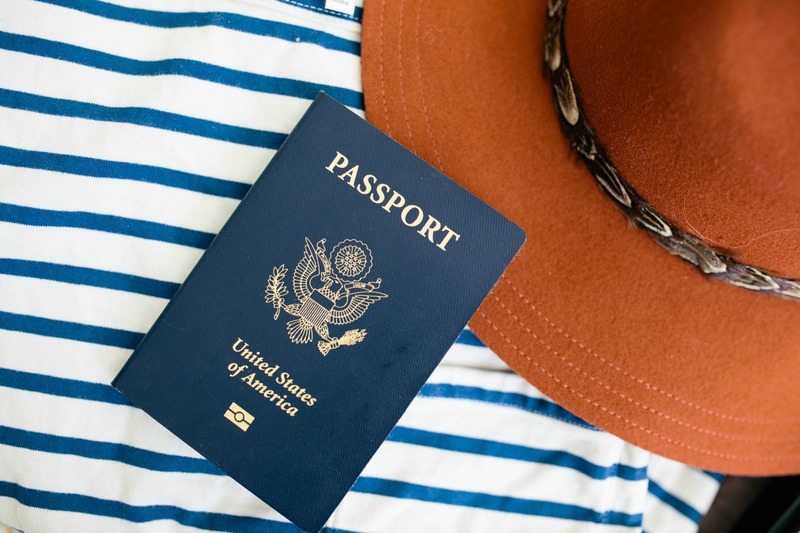 One thing I REALLY wish I could have brought back home? 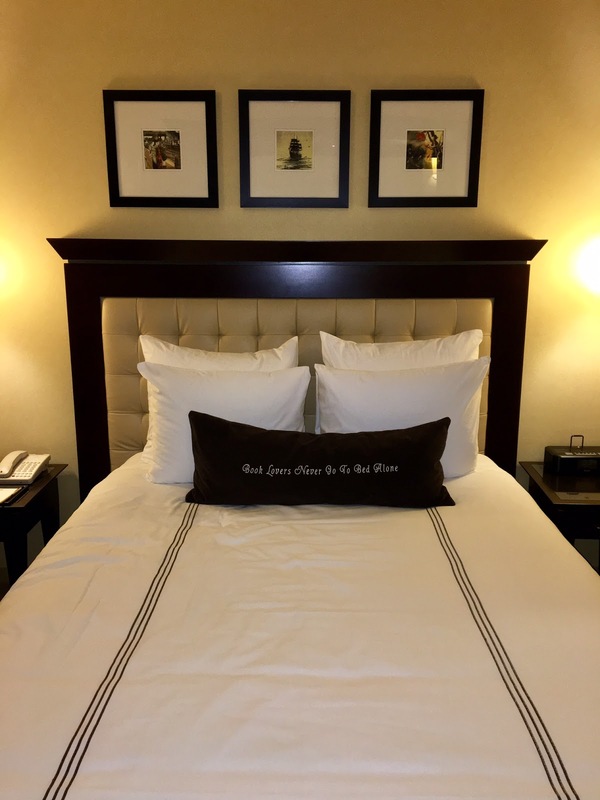 The body pillow that read, "Book lovers never sleep alone." 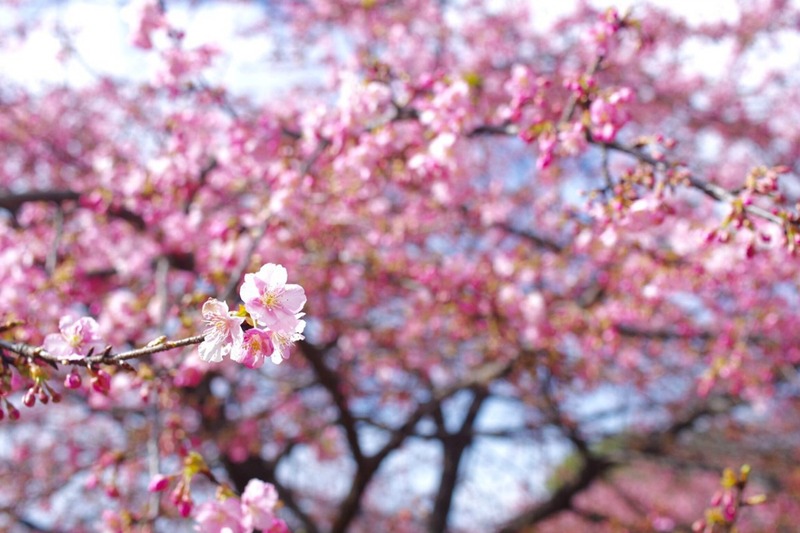 Eep, how charming is that? 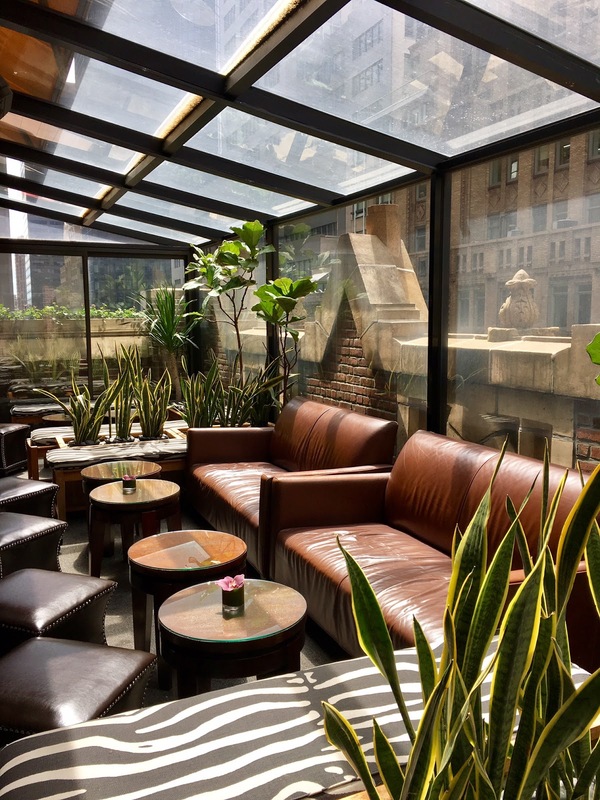 Rooftop Bar & Lounge: Officially known at the Library Hotel as the Writer's Lounge & Poetry Den, the 14th floor is an entire floor dedicated to seating, relaxation and reading by day. There's two indoor reading areas to each side, as well as one greenhouse and one outdoor area, which is my absolute favorite! The outdoor area is wrapped in red bricks, beautiful greenery, plentiful seating and a metropolitan view that kills. By night, the Bookmarks Lounge comes alive and serves the trendiest cocktails through the evening. 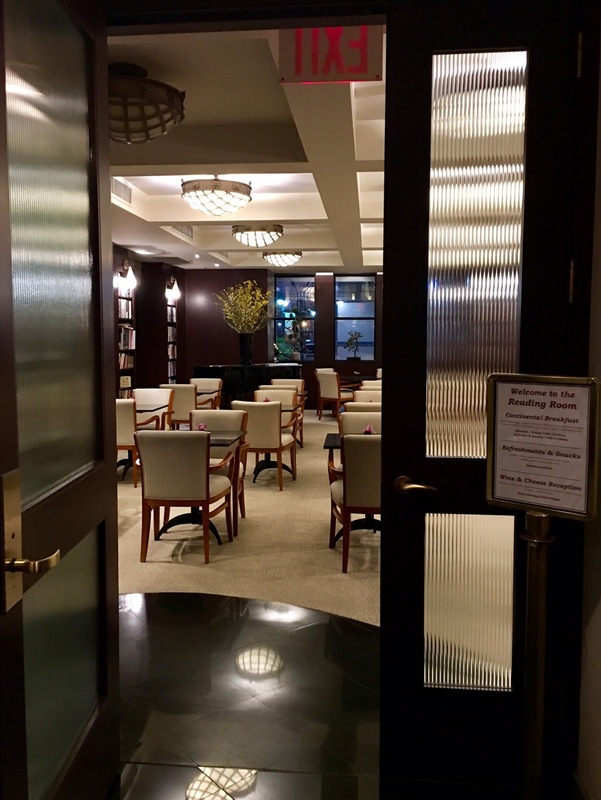 Reading Room: As the name would suggest, it's a room full of books that's open 24 hours for guests to utilize. 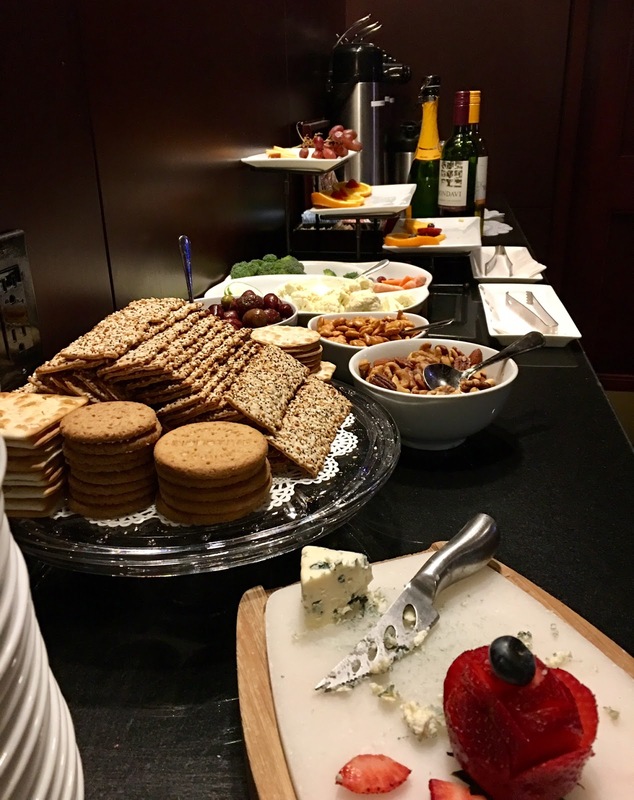 In the morning, the room provides a Continental Breakfast Buffet and in the evenings, a Wine & Cheese Reception. 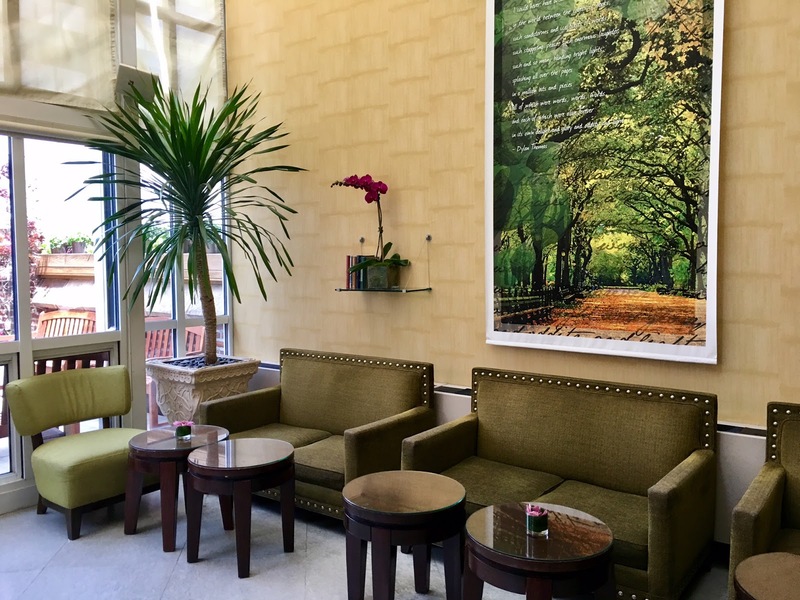 Otherwise, the Reading Room constantly has coffee, other beverages, cookies and fruits for guests to enjoy all day. I loved utilizing the room when I needed a quiet place to get some work done while my fiancè picked up a newspaper to read for a couple hours. Continental Breakfast Buffet: I love when a boutique, higher end hotel considers the convenience of a guest. 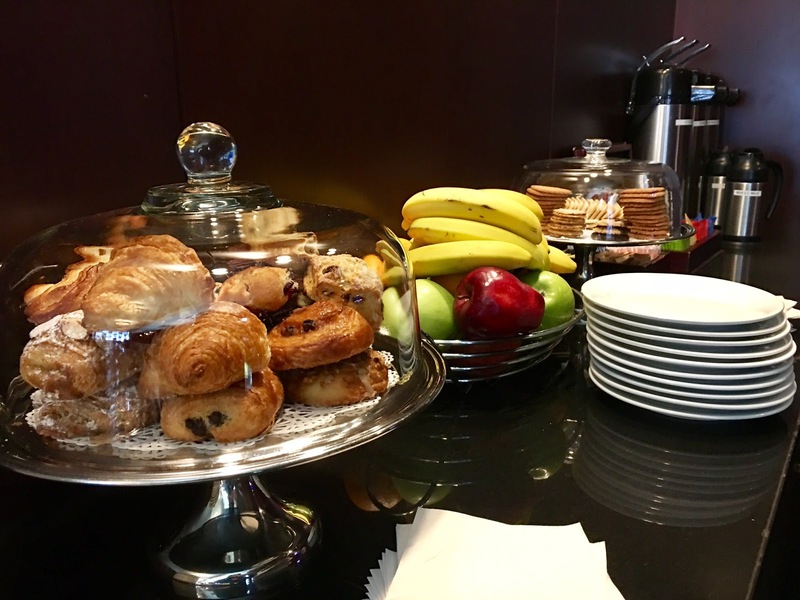 Serving complimentary breakfast doesn't have to equal 'economy hotel'. 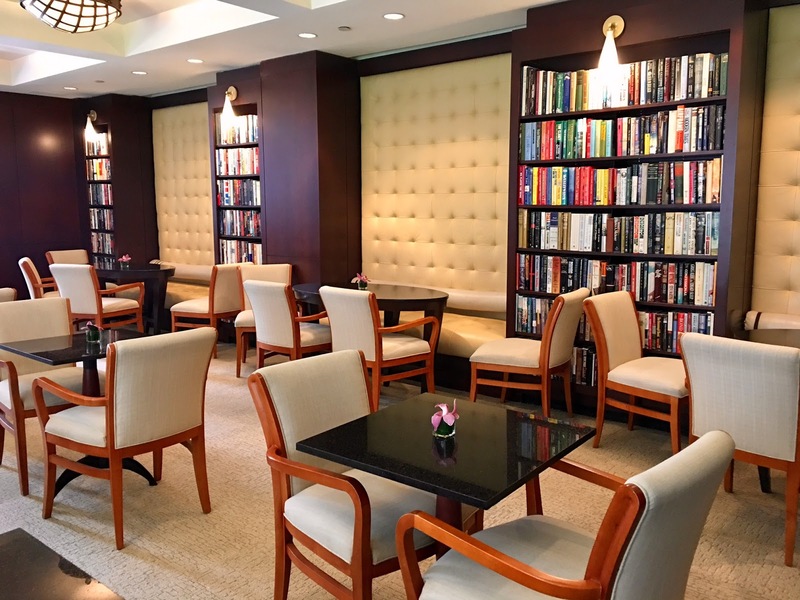 The Library Hotel serves complimentary breakfast in their Read Room daily; Monday through Friday 7:00AM-10:30AM, and on weekends Saturday & Sunday from 7:00AM-11:00AM. They serve pastries, fresh fruits, yogurt, granola, toast/bagels in addition to coffee and juices. You're welcome to eat in the Reading Room or bring it back to your room, which I did. Dining: When you're not enjoying a breakfast muffin, cheese plate or a cup of coffee in the Reading Room, head down to their restaurant, Madison & Vine. The restaurant boasts a 'casually elegant' dining experience with an American Bistro menu, in addition to an International Wine Bar. They're open daily for breakfast, lunch and dinner. Don't miss weekend brunch on Saturday and Sunday! The employees there are called "Librarians" (I want to be a Librarian!) and every 'Librarian' I encountered were friendly, helpful and provided excellent customer service. As a former Director of Front Office, I could have only wished to have staff like that at my hotel! 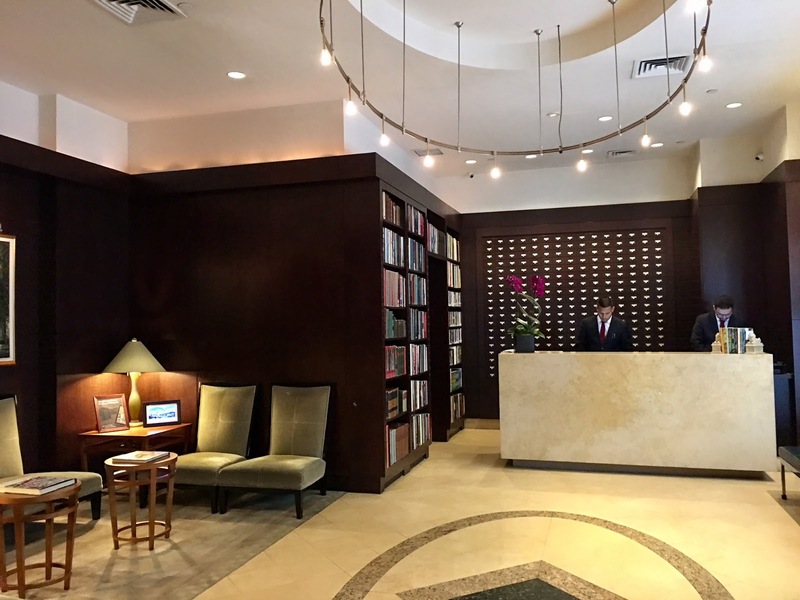 There are upwards of 7,000 books throughout the Library Hotel! 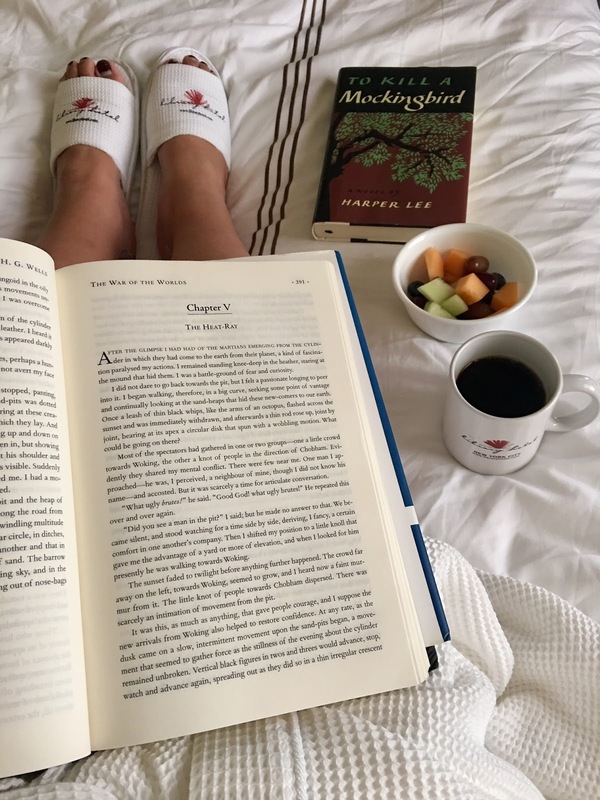 Guests are free to rent the books during their stay. There are a collection of books at the Front Desk that you can take home. The Library Hotel works with a publishing company and introduces new authors - how cool is that? Parking: Discounted rates are available for hotel guests at ICON Parking for approximately $50 per night. However, spaces are not guaranteed. Disclosure: I was welcomed as a guest at the Hotel Library. However as always, all opinions are my own.